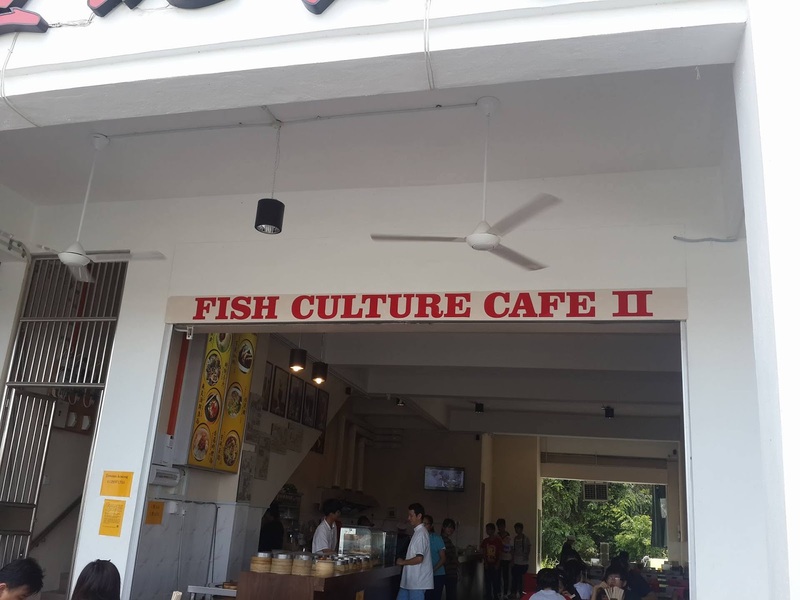 The other day, I had lunch with my mum at Fish Culture Cafe II. Their first shop around Medan Mall has operated for some years now and it seems that they enjoy brisk business most of the time so they decided to expand their business to this new place here in the vicinity of Wonderful Supermarket. Well, one fish ball had been eaten by my mum before I could even take a photo so the price stated here is actually for 5 fish balls. Traditional authentic Fuzhou fish ball is made by beating the fish paste repeatedly until it completely turns into a nice mush. 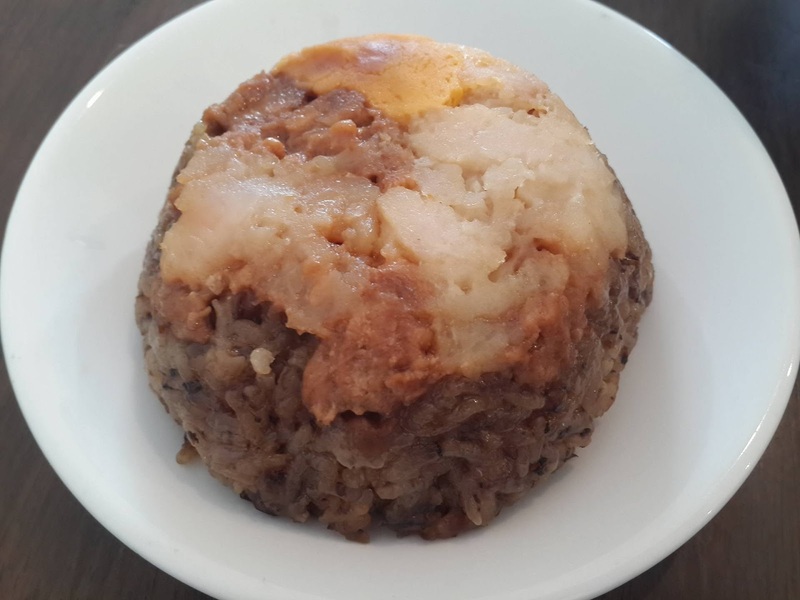 Then, the mush is used to make a wrapping for a variety of fillings. 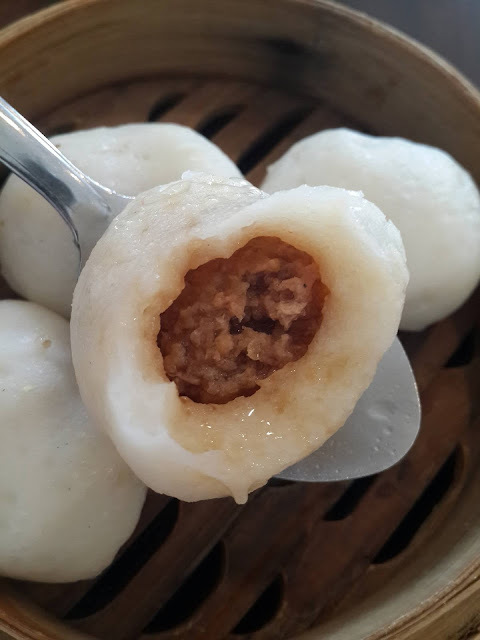 Typically, the fish ball is stuffed with minced pork filling. 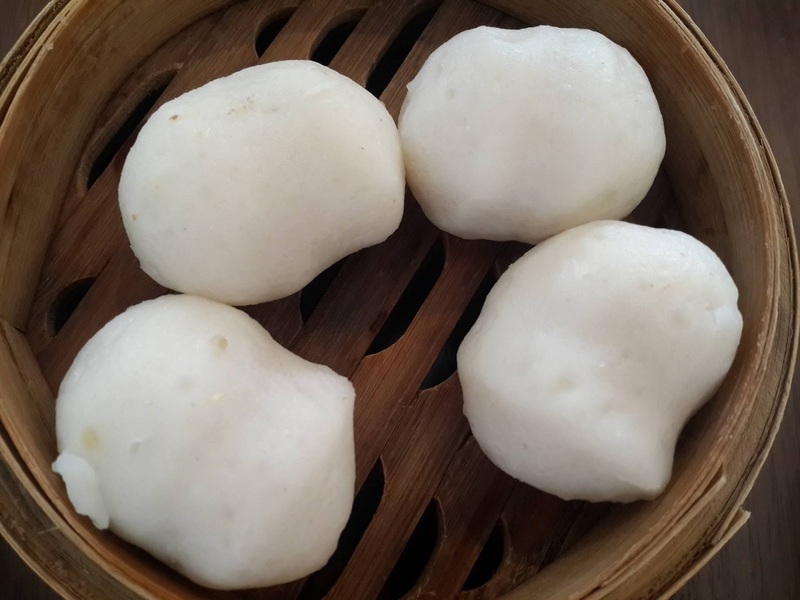 Unlike machine-made fish ball, handmade one has more smooth and springier texture. Salty Pan Pau (Rm 4.30) is actually pan-fried bun with salted fish and minced pork fillings. 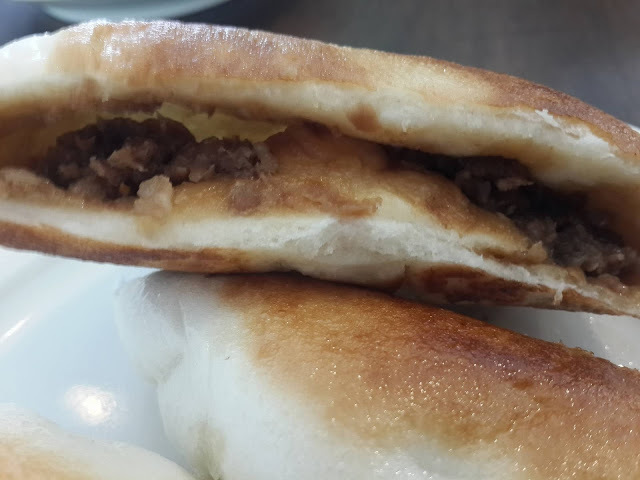 It is a famous Cantonese food you can easily find at most Dim Sum places. It was not bad though I would still prefer it if it had a crispier skin. 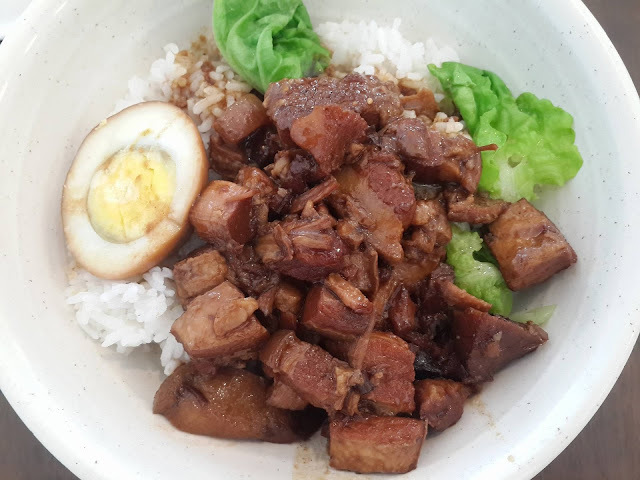 They had really nice Lor Mai Kai (Rm4.45). 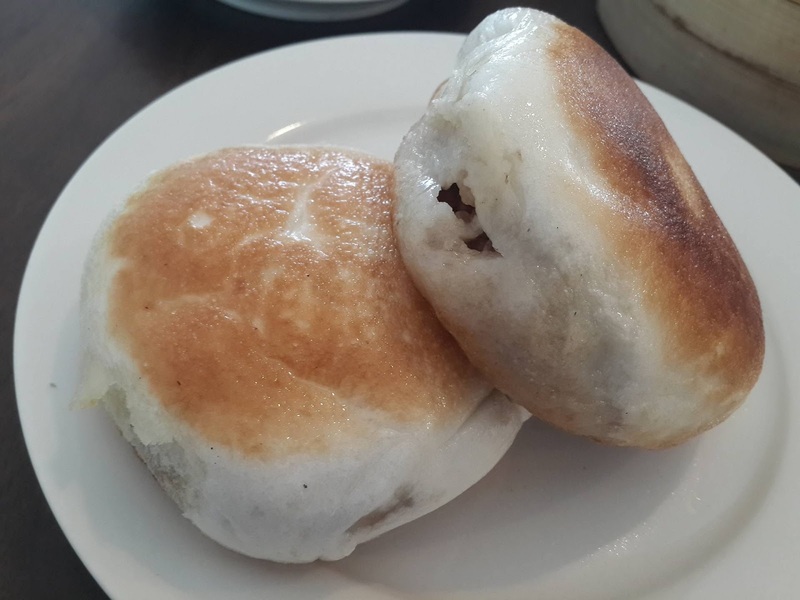 I was quite surprised to find out that it tasted so very nice to the extent that it could simply beat out some renowned international Dim Sum restaurant chains in the country. They used fish meat which I found it interesting because normally Chicken meat (as the name suggested; kai means chicken in Cantonese) is used instead. Well, obviously this is a Japanese appetizer. 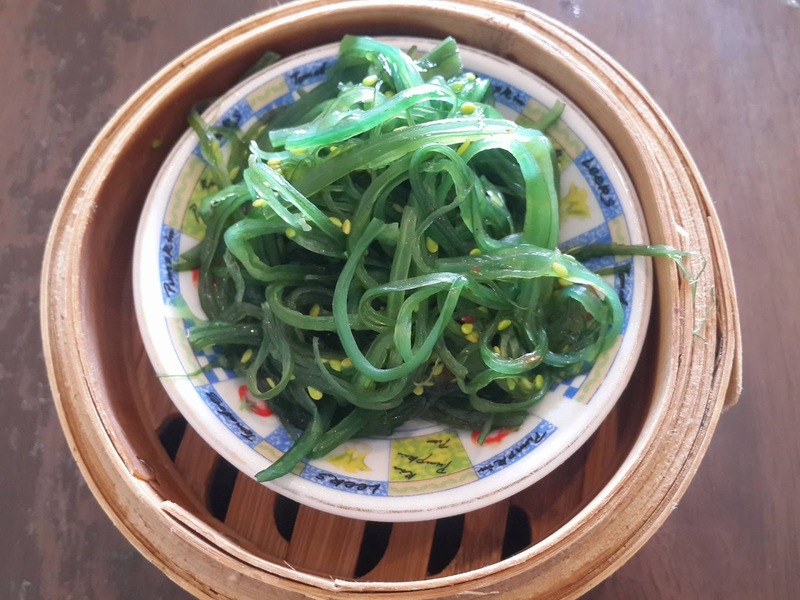 I wonder why but you can actually find this at this Dim Sum eatery. On a side note, you can get a whole tub of this from some supermarkets like Cold Storage for how much I have forgotten but definitely for a better price. Anyway, I did enjoy it (Very pleasant sesame oil aroma). Not too bad but not so good either. The pork was tender but not very well marinated. 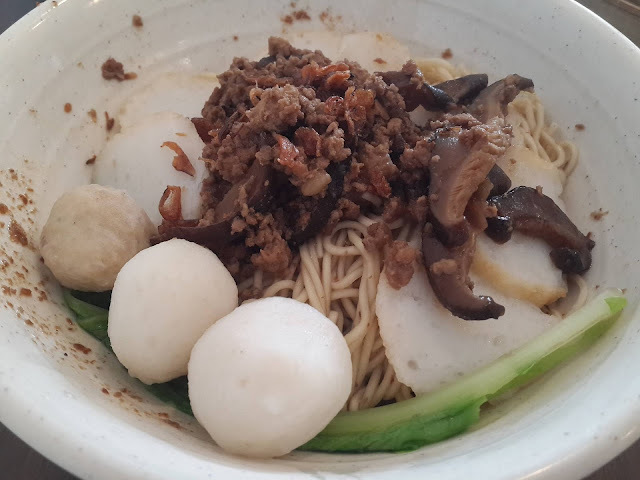 They used Kampua Mee if I am not mistaken. It was not bad but just one thing; the fish balls (made from West Saury 西刀鱼 as mentioned on their menu) were a tad too fishy for my liking. Saw it when I went to the cafe next door - yet to drop by. I usually do not go in that direction or to that area unless I have some particular reason to do so. yeH I read it from one of your blogposts! Eco delight huh? very nice, doesn't have unpleasant fishy smell, and wholesome!